As Tara grew, the controlling ways & the violence from one of her brothers increased forcibly, slowly pushing some of the children away from home, in order to live a somewhat fulfilled life, akin to what most of us consider to be routinely ‘normal’. Reading the book, written in a calm, if not serene voice, makes it even more remarkable, considering the various physical & psychological traumas Tara faced, before leaving home & in time gaining not only a Gates Cambridge Scholarship, but later also receiving a MPhil in intellectual history from Trinity College, Cambridge (when she initially started her studies in the public domain, she didn’t even know the meaning of Holocaust ) & a PhD in the same subject six years later. One of the main themes of this book is the fierce loyalty to the family & the cause, or rather the beliefs of the patriarch, that everyone has to follow precisely, yet there is no sense of self pity or regret of the choices made by Tara. While she still writes to her mother, she has been estranged from her father, sister & several brothers for years. But in some ways, it allowed her to discover where & with who family loyalties truly lie & who is still here to watch over her. Who she is & how remarkably strong she is. Tara has also been lucky to have experienced wonderful mentorship from many people, who having seen her talents, championed & supported her in more ways than one, allowing her to grow, bloom & achieve her full potential. For one, her writing is so mature, I remain in complete awe of her talent & attitude to life. She does’t seem bitter, fractured or angry at the way her life journey has evolved. She comes across level-headed & mature, well above her still young years. Looking at Tara during the event & later continuing to read her book, made me think of a saying ‘what doesn’t break you, makes you stronger’. I also couldn’t help but draw some comparisons recently when watching ‘Patrick Melrose’ series, based on the Edward St. Aubyn novels & pondering how people deal with emotional & physical they suffer in their early years & how it affects them as adults. Some survive & thrive, others can’t get off the path of destruction, on which they were set by the actions of other people, who yielded influences on them in childhood. 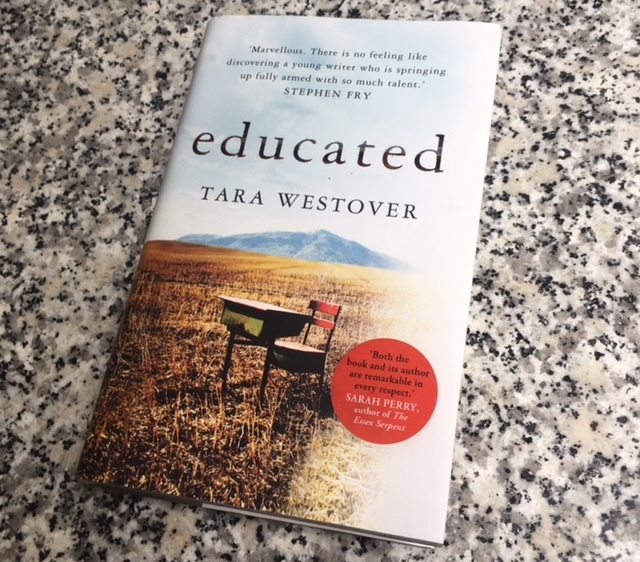 In some way Tara’s frank memoir is a lesson to those of us who lamented our own misfortunes, which pale in comparison to the ones that Tara not only experienced, but processed, lived through & emerged from, shining her bright light & walking her path with quite a confidence. One of the most painful, yet uplifting memoirs, which is bound to changed the way your view the process of education, family ties & ability to adapt & thrive despite the hardships, knocks & misfortunes.